Dr. Jane Nelsen, author of Positive Discipline for Preschoolers, says that with routines, children have an opportunity to learn to focus on the needs of the situation: doing what need to be done because it needs to be done. 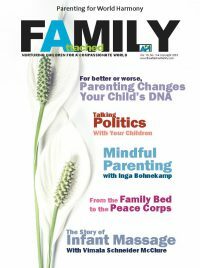 “Children learn to be responsible for their own behavior, to feel capable, and to cooperate in the family. The parent doesn’t continually have to demand help,” according to Dr. Nelsen. Create a routine chart with your child — Ask her what needs to be done. Help her think through the routine and all the tasks that need to be completed. Keep the number of steps to a minimum — A finished routine chart should be simple and straightforward, not an extensive list of tasks that present an overwhelming job for a young child to do to get ready. Include a photo of each step — While you can draw, paint, or cut out photos from magazines to include on the chart, it is probably most effective to take a picture of your child demonstrating each step of the routine. It is very personalized, and he will take pride in showing off his capabilities. Be sure to celebrate your child’s “big kid” capabilities with her! — Thank her for her cooperation and acknowledge her effort in getting things done. Remember that this routine is something she’s expected to do as a cooperative member of the family, and issuing rewards for completing her tasks will take away from her sense of pride and feelings of capability. 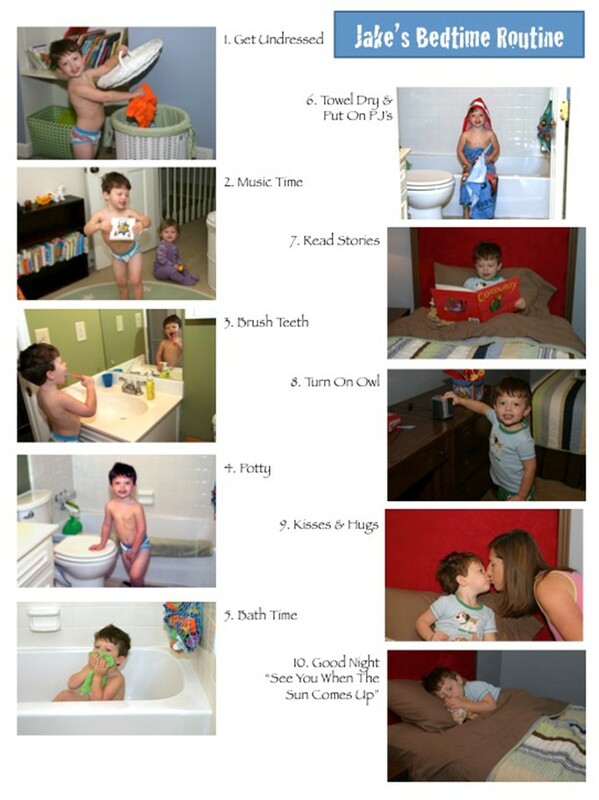 A routine chart places responsibility on the child for knowing what to do to take care of himself. This creates great feelings of capability, as well as eliminates opportunities for power struggles and manipulation. Children feel competent and accomplished, and they learn they have a cooperative place in the family. I’m surprised API shows a 3-year-old who is not co-sleeping. I’m surprised to see this article here, we have fed our children on demand, let them sleep when they were tired as close to us as possible, carrie them in a sling, been responsive to their needs, allowed them to explore the world and learn at their own pace, and then we introduce routines and charts? Sorry, but bedtimes and meals are a normal part of life and they happen spontaneously, I won’t be manipulating my child’s activities to this extent! I love Senae’s idea of creating a book! I think my daughter might really respond to that. She has commented that she likes Grandma’s house because she always knows what comes next; I think it would do both of us good to develop some more structure in our daily lives.